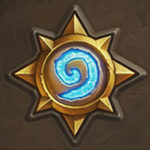 Hearthstone Patch 12.4: Patch Notes, Rastakhan Pre-Order, New Classic Cards! 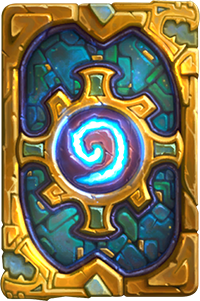 A new patch went up that includes the Rastakhan Rumble Pre-Order and the new cards that have been added to the Classic set! Check out the patch notes below, with some newly revealed card backs! In this update we’re preparing the Tavern for the arrival of that monarch of the melee, King Rastakhan, and his riotous rabble of rowdy retainers in Rastakhan’s Rumble! We’ve also got gifts for our friends, new Classic cards, download improvements, bug fixes, and more! 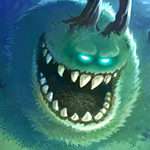 Thus update is currently live for PC and Mac, and will become available on mobile in the coming hours. King Rastakhan won’t just be hosting the Rumble, he’ll be brawling with the best of them! When you pre-purchase this bundle, you’ll get 50 Rastakhan’s Rumble card packs, the Ready to Rumble card back, AND the new Shaman Hero: King Rastakhan! There are more guests in the Tavern than ever before, but there’s always room for more! Join us by logging into Hearthstone from November 7 – November 11, play with friends, and be gifted with tokens of our appreciation! 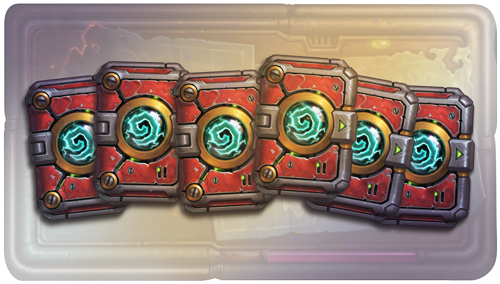 Get SIX The Boomsday Project card packs just for logging in. Celebrate the Players Quests. Everyone who logs in will receive a quest to play against a friend in any mode for 100 gold. This quest is repeatable up to five times for a total of 500 gold! Unlike Challenge a Friend, only players with this quest in their log will receive the gold, so make sure you log in and get the quest! 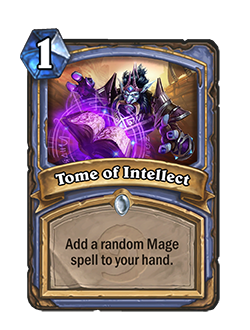 Ready to Rumble – Acquired from a Rastakhan’s Rumble pre-purchase bundle. 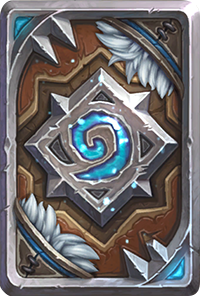 Frostwolf – Acquired from winning fives games in Ranked Play, December 2018. Good Cheer – Acquired from a special promotion. 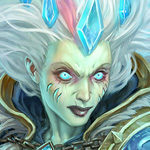 The Third War – Acquired from the Warcraft III: Reforged promotion. Download Improvements – We’ve continued making improvements to the mobile Hearthstone app. The option to download via cellular data is no longer saved between sessions. You’ll be prompted to provide permission when new data needs to be downloaded. To improve performance, downloads are now paused while in a match. 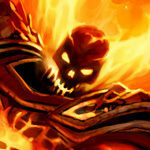 Phones now use lighter weight card art to reduce app size. 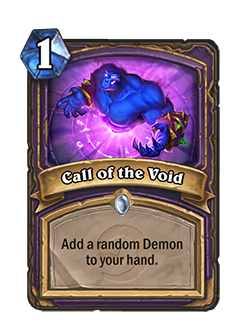 Small-Time Buccaneer now correctly gains +2 Attack if its stats were swapped by Void Ripper. Deathrattles on replaced weapons now trigger at the same time as minions in play are destroyed, so Powermace will no longer “save” minions destroyed by Blood Razor’s Battlecry. Fixed a crash that could occur when Lesser Jasper Spellstone and Bomb were drawn by Ultimate Infestation. Reduced the delay on reactivating Deathstalker Rexxar’s Build-a-Beast when Coldarra Drake or Garrison Commander are in play. Fixed an issue with Valeera the Hollow’s Shadow Reflection sometimes playing its audio cue twice. Fixed an issue where canceling matchmaking could result in a fatal error and failure to connect to a game you would otherwise have been matched to. The season reward chest in the quest log now correctly displays the highest rank achieved, rather than current rank. When searching for Wild cards while building Standard decks in the collection manager, the message now reads “Results found in Wild Sets”. 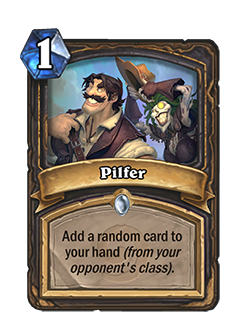 Fixed an issue that could cause returning players to become “stuck” at Finding an Opponent. Fixed an issue with the in-game Shop scaling on high resolution monitors. 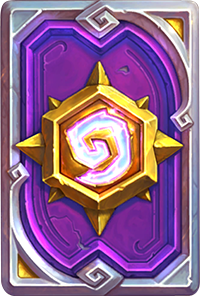 Fixed various visual issues with Deck Recipes, the Friend List, and New Player Ranks. 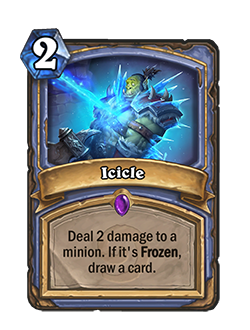 [Mobile] Fixed issues with cards created by Fal’dorei Strider and Deck of Wonders appearing offscreen on some mobile devices. 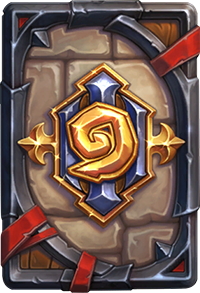 [Android] Hearthstone now displays correctly on OnePlus6 devices. 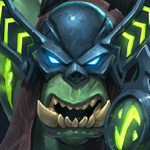 King Rastakhan portrait is my favorite of all the ones released so far, amazing voiceover and that troll accent is awesome! Too bad it’s behind a large pay wall. wait, do u get the golden legendary for pre perchase this time? you will get one free legendary, if you log in, the day its released. 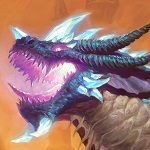 Free Stuff: When the expansion is released, you just need to login and you will get one Free Legendary Loa, two Spirit cards from the same class, and six Rastakhan’s Rumble card packs! Is it only an issue for me, that since the patch non of the golden or new heroes have background animation? It was an issue but only in the lobby, during the previous patch. Golden Animations are bugged, they are working on a fix.